To make provision for the operational guidelines in order to ensure the accuracy and reliability of measurement results for fair prosecution. The decision whether or not to prosecute however still remains in the discretion of the prosecutor. 2.1 Site selection and setup for different classes of Radar speed measuring equipment. 7.1 General requirements applicable to prosecution over extended distances. 7.2 The distance between the start location and end location. 7.3 Where the distance used for average speed has more than one speed limit zone the limit used for prosecution. 7.4 Speed limit signs together with average speed enforcement information signs must be displayed at the approach of an average speed over distance enforcement section.
. . . . . .[Para. 2.1(a) means – A radar speed measuring equipment that is designed for measuring only the “down-the-road” speed of a vehicle i.e. no correction using the cosine of the angle between the direction of travel of the vehicle correction and the position of the speed measuring equipment is applied.
. . . . . .[Para. 2.1(a) means – A radar speed measuring equipment that is designed for measuring only the speed of a vehicle at an angle to the direction of travel of a vehicle where a correction using the cosine of the angle between the direction of travel of the vehicle correction and the position of the speed measuring equipment is applied. cosine of the angle between the direction of travel of the vehicle correction and the position of the speed measuring equipment is applied.
. . . . . .[Para. 2.1(b) means – A radar speed measuring equipment that is designed for measuring the speed and distance of a vehicle at a pre-determined fixed angle to the direction of travel of a vehicle and where a correction using the cosine of this angle is applied.
. . . . . .[Para. 2.1(b) means – A radar speed measuring equipment that is designed for measuring the speed, distance and angle (between the direction of travel of the vehicle and the position of the speed measuring equipment) of a vehicle and where a correction using the cosine of the measured angle between the direction of travel of the vehicle and the position of the speed measuring equipment is applied. (iii) be in possession of an operator's certificate for the specific type of SME and, if applicable, TLVME. (iii) Any equipment after repairs to components that effects the speed measuring capability where done; at least every 12 months and shall issue a calibration certificate. If the 12 month calibration period has expired, equipment must be recalibrated before it may be used for prosecution purposes. (i) validate all distance checking markers for validation of SME's where applicable. (i) the speed measurement was taken within 300 metres of the commencement of the speed limit zone. 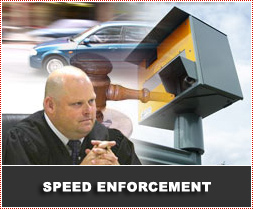 The driver shall be afforded the opportunity to view the speed measuring equipment, if stopped by a traffic officer. (i) obtain written permission from the DPP for the roads or sections of roads where it intends doing such prosecutions, whether such cameras are fixed or mobile. (ii) Above installations shall be checked for correct operation, correct camera alignment and damage at least every seven days. These results shall be recorded. (iii) no other moving vehicle other than the measured vehicle within 600 metres from the SME in the direction of operation. If the SME is designed to measure speed and position of multiple vehicles simultaneously, the SME must be able to indicate the speed of the infringing vehicle and the distance from the SME to this infringing vehicle. (a) vertical and horizontal scope alignment test, at a distance of at least 100 metres must be done at the start and end of each speed measurement shift and whenever the equipment is moved to a new location. (i) The validation distance must be at least 100 metres. (ii) The distance error must not be more than + 0,2 metres. (iv) No speed-reading must be displayed when taking a measurement of a stationary object. (a) at all times whilst being operated be mounted on a firm and stable surface. (c) the measured distance mentioned in 3.3(a) must be recorded on the charge sheet, if no photographic evidence is available. (iv) the distance between the sensor lines may not be less than the distance that the equipment is designed for. (c) in the case of sensors mounted on the surface, the operator shall, observe the condition and position of the sensors from the side of the road, every hour and record it. (e) record the results of the abovementioned tests. (f) only vehicles clearly marked or identifiable as official traffic or police vehicles may be utilized for this equipment, except with the permission of the Director of Public Prosecutions. (a) the equipment may be used on any suitable road or in any traffic condition, provided that the operator has (where applicable) a clear view of identifiable markers next to or on the road. (b) the target vehicle must be visible at all times. (a) a written record of all proceedings and incidents during a shift shall be kept. (b) when measuring the target vehicle's speed, the distance measured shall not be less than 500 metres. The vehicle must be clearly identifiable as the offending vehicle. (v) if a flash light is used during night-time operation, only filtered flash lights (to avoid blinding of motorists) may be used to illuminate the vehicle from the front. (vi) at least one functioning traffic light must be visible in the photograph / image indicating the interval of the intersection. (ii) at least a second image taken a fixed time or distance from the first image indicating the vehicle moving through the intersection during the red interval; and the location description. (c) a notice in terms of section 341of the Criminal Procedure Act No. 55 of 1977, shall be posted to the licensed owner of the motor vehicle within 30 days of the date of the offence; or where AARTO is in place, in accordance to AARTO legislation. a) At least two images with description of location must be recorded, one at the start location and one at the end location.  c) The information on the image and the information on the National Register of Vehicles should correlate with regard to the make and type of vehicle. The provisions of this subsection will not apply to images taken in adverse weather conditions and between sunset and sunrise. 7.2 The distance between the start location and end location shall be determined by a suitably qualified person and shall be repeated only if the road changes due to construction. 7.3 Speed limit signs together with average speed enforcement information signs must be displayed at the approach of an average speed over distance enforcement section.